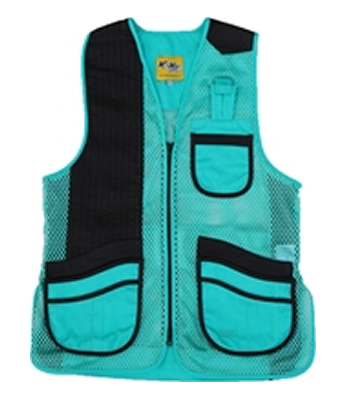 Finally, shooting vests truly designed for women. 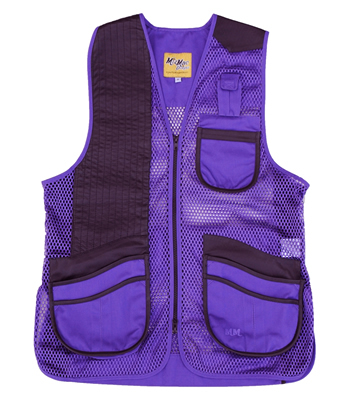 Our unique perfect fit mesh vest with adjustable Velcro waist tabs allows full flexibility and comfort while shooting. Expandable front pockets allow easy access to shells, while the rear full width zippered mesh hull pouch holds 100+ hulls. The MizMac "Perfect Fit" vest now comes standard with genuine leather on the international shooting pad and pocket trim for an even better fit and better breathability. 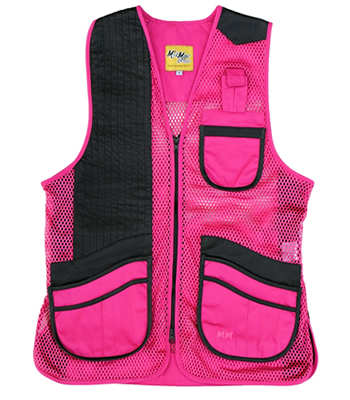 Add in the ShockEater recoil pad for maximum shoulder protection and you've got the perfect women's shooting vest.